Rainbows are widely appreciated for the welcome touch of colour they can bring to an otherwise dark and dreary day, and this rainbow is no exception. 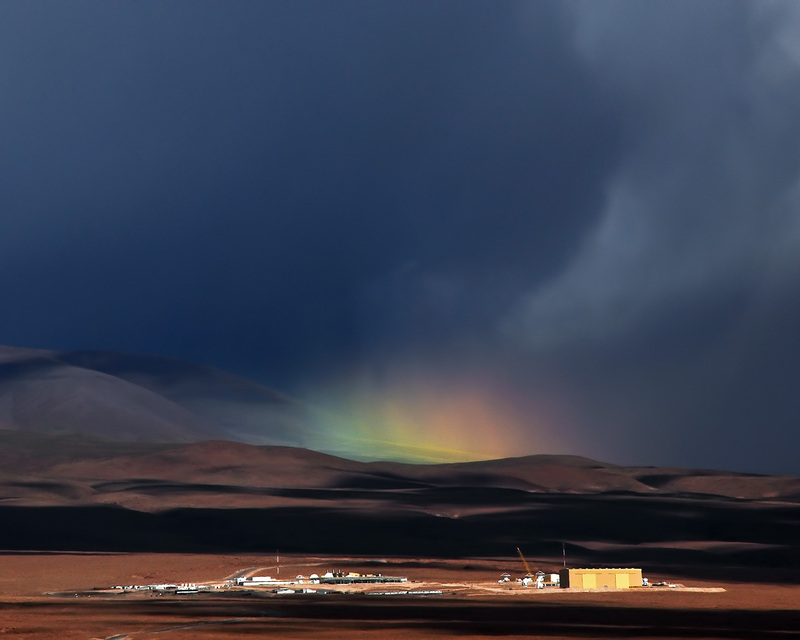 This rare rainbow appears over the Atacama Large Millimeter/submillimeter Array (ALMA) Operations Support Facility (OSF), which lies some 2900 metres above sea level close to San Pedro de Atacama. 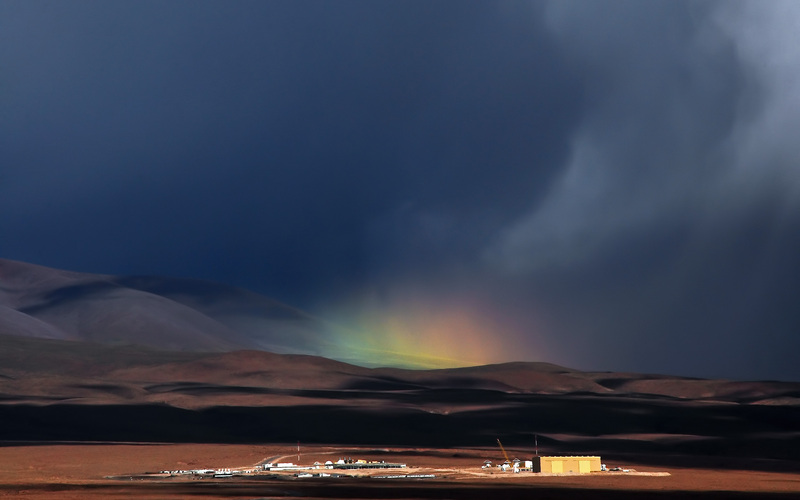 The OSF is the base camp for the ALMA site, which is significantly higher at over 5000 metres up on the Chajnantor Plateau. 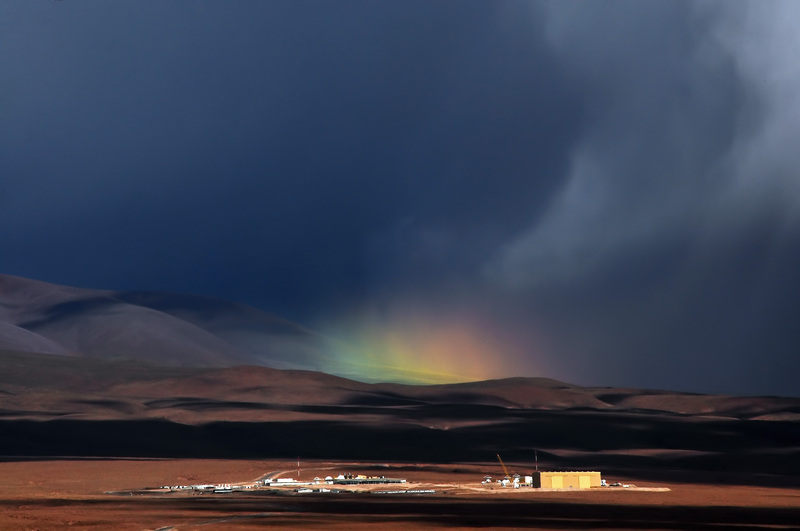 The OSF isn’t just a location for operating the giant ALMA Observatory; it is also where new technologies are assembled, integrated, and verified before they are transported to their final destination on Chajnantor. The technology has to be assembled and tested at the OSF because the air is much denser there than on the plateau, and workers can complete their tasks without the adverse health risks associated with working at high altitude. This rainbow was captured by ESO employee Armin Silber.